$ Going for a Dive!
! this was a pretty detailed one! 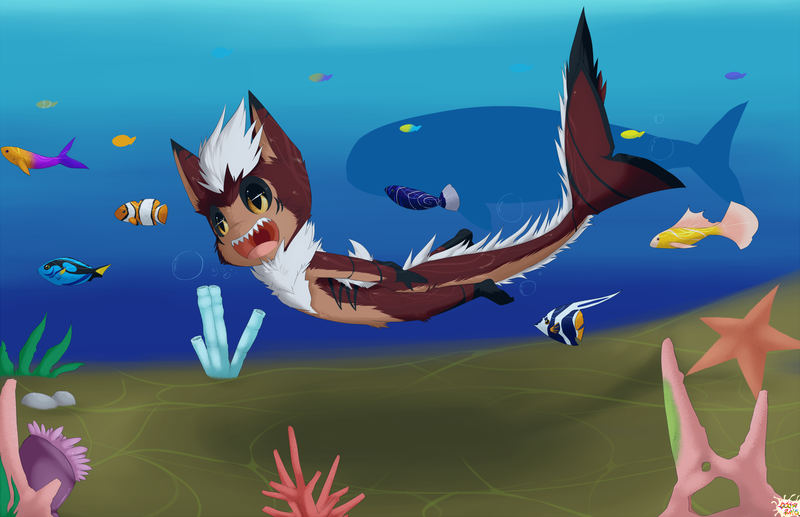 One happy looking little floofshark about to feast on the tender flesh of feesh.